Do you wake up with a stiff or sore neck? Do you wonder if your pillow is right for you? We may have your solution here at Benevento Chiropractic. We carry a revolutionary pillow that has proven results. Clinical sleep trials at Johns Hopkins University School of Medicine and at Logan College of Chiropractic shows that the Chiroflow pillow is preferred over other cervical pillows and it improves the quality of sleep. Scientific studies have linked enhanced quality of sleep with improved quality of life. Ask about Chiroflow pillows today! 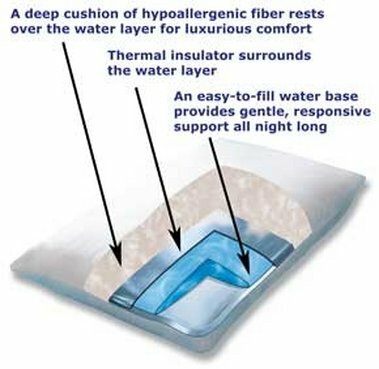 Once you have purchased your Chiroflow Pillow, you may ask yourself how do I fill it up? This instructional video shows you how to properly fill your pillow. Keep in mind that it may take a couple of weeks for your body to acclamate to the pillow. Once your body has adjusted to the pillow, you will notice the difference between your old pillow and your new Chiroflow pillow and will want to take it with you even when you travel!